CooksRecipes has quality, kitchen-tested recipes for peach pies that you can count on for successful deliciousness. 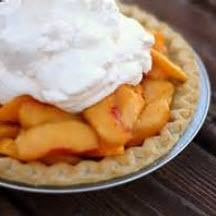 You don't have to be in Georgia to enjoy a good peach pie—add a dollop of whipped cream on top for a special treat. 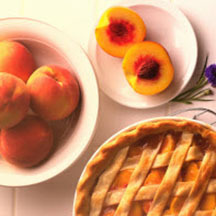 For best results, prepare the peach filling not more than an hour prior to serving and refrigerate until ready to serve, then assemble the pie. 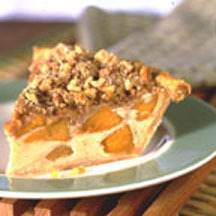 Sliced peaches nestled in an egg-rich base are topped with streusel topping. Cinnamon and nutmeg add zest and flavor to this all-time favorite.